predisposition to diseases. It is becoming the norm in modern medicine. Recently German actor and director Til Schweiger made headlines when he mentioned at the premiere of his film ‘Honig im Kopf’ that he had undergone genetic testing to find out whether he is at risk of developing Alzheimer’s disease. Luckily for him, the test came back negative. His engagement with the disease raised public awareness of the possibilities of predictive genetic testing. 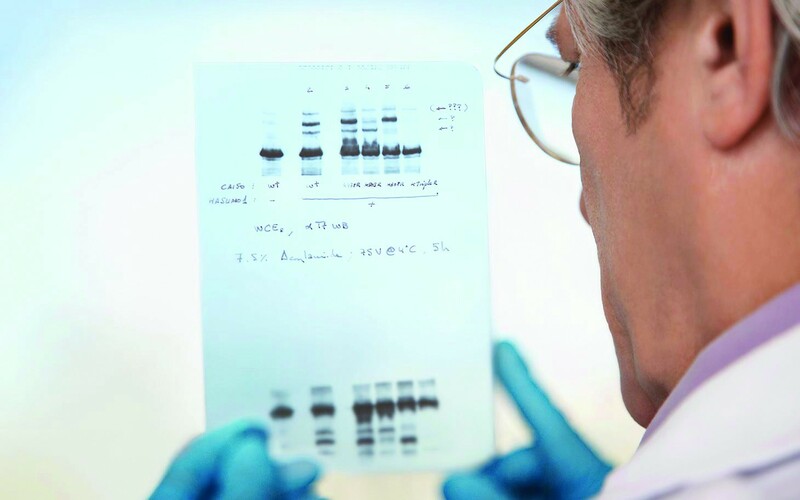 Deciphering the human genome has now become affordable. Through the use of more than one thousand individual tests human genetic testing laboratories can detect hereditary diseases. The human body is made up of some 50 trillion cells, most of which have a nucleus containing chromosomes (DNA) — the blueprint of the human body. This genetic code consists of approximately 3.2 billion ‘letters’. Only one percent of this code contains our genes, some of which determine the colour of our eyes while others are responsible for how we absorb nutrients after we have eaten. Genes are responsible for someone being lactose intolerant, but as long as they do not consume any dairy products they will remain perfectly healthy. If you know that you are susceptible to something in particular, you can in many cases take precautionary measures and prevent diseases. Diagnostic companies are already offering via the internet genetic lifestyle tests, which only require a simple saliva sample. The client determines the scope of the analysis through their choice of test package. These detect food intolerances and identify allergies, and can be carried out without a doctor. Others require a blood sample to identify a hereditary predisposition to high blood pressure or diabetes, for example. The test report for the can run to 200 pages and contains detailed medical information that should be evaluated and interpreted by a GP. Reactions to prescribed drugs: Anyone who has been ill knows that many doctors now work through a process of elimination. They prescribe medication to see how the patient responds. Pharmaco Sensor introduces a new approach. It identifies the effectiveness and side effects of 244 current drugs from 30 different specialities. Information about the speed with which active ingredients metabolise is important and governs how much medication is prescribed, as unwanted side effects can cause complications. 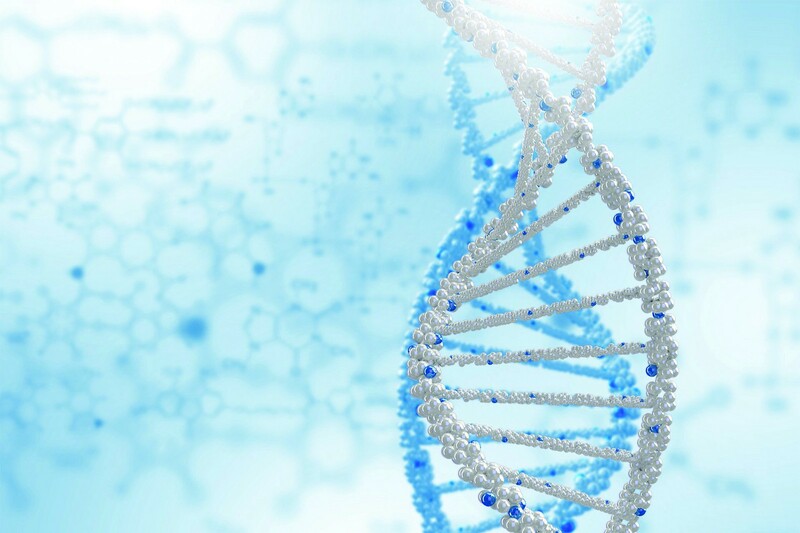 In the future you will be able to present to your doctor at the start of treatment your own personal genetic report detailing which drugs can be successfully absorbed and broken down by your body, in order to rule out mismanagement of your condition. Only for women: In the Female Health Sensor by Professor Huber, particular female issues are clarified through the analysis of some one hundred genetic variations. This package contains many elements of the comprehensive Premium Plus Sensor and should equally be carried out under the supervision of a doctor. Baby Sensor: Kits from genetic testing laboratories usually include pads for screening newborn babies. This means that mothers can quickly and easily obtain a urine sample from their child at home, send it off in the post and receive information about more than one hundred hereditary diseases, and whether preventative treatment is required. Nutrition Sensor: It is not just mother and baby who can find out if they are getting all the micronutrients they need. Our genes dictate which foods are good for us. Based on this the Nutition Sensor evaluates more than one thousand foodstuffs. The more than one-hundred-page report tells you not only what food intolerances you have, but what kinds of sport and what foods are recommended to maintain your weight, for example. For some it is carbohydrates that make them put on weight, for others it is a fatty diet that stands in the way of their ideal weight. You also receive menu suggestions for the optimum distribution of calories, with amounts for ‘maintaining weight’ and ‘losing weight’. Many people will ask themselves whether they really want to know what defects they carry, especially as not every predisposition can be medically prevented. But those affected still have the chance of taking preventative measures. The test report contains strategies for changing your lifestyle and eating correctly. In a few years genetic testing will have become the norm; it is the next step in preventative medicine. You will receive your test results by email. The Financial Times rated Mallorca as one of 10 safest places worldwide to invest in real estate. Deluxe Mallorca magazine is synonymous with luxury, elegance, celebrity and lifestyle.